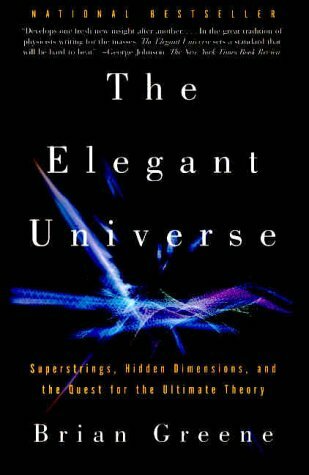 Vintage Books The Elegant Universe: Superstrings, Hidden Dimensions, and the Quest for the Ultimate Theory by Brian Greene | Free eBooks Download - EBOOKEE! Posted on 2012-10-02, by sharebookfree. In a rare blend of scientific insight and writing as elegant as the theories it explains, Brian Greene, one of the world's leading string theorists, peels away the layers of mystery surrounding string theory to reveal a universe that consists of 11 dimensions where the fabric of space tears and repairs itself, and all matter-from the smallest quarks to the most gargantuan supernovas-is generated by the vibrations of microscopically tiny loops of energy. Green uses everything from an amusement park ride to ants on a garden hose to illustrate the beautiful yet bizarre realities that modern physics is unveiling.Â Â Â Â Dazzling in its brilliance, unprecedented in its ability to both illuminate and entertain, The Elegant Universe is a tour de force of science writing-a delightful, lucid voyage through modern physics that brings us closer than ever to understanding how the universe works. No comments for "The Elegant Universe: Superstrings, Hidden Dimensions, and the Quest for the Ultimate Theory".